Blatant rip-offs of Steve Klein's photos of Brad Pitt and Angelina Jolie, which appeared in W magazine more than a year ago, keep popping up in other publications. Last August, New York Magazine gave us its lame version of the Brangelina spread. And now I see advertisers have gotten in on the act. An ad for a Baker leather divan features models who are dressed similarly to Brad and Angelina. The mise-en-scene, as well, is almost identical. 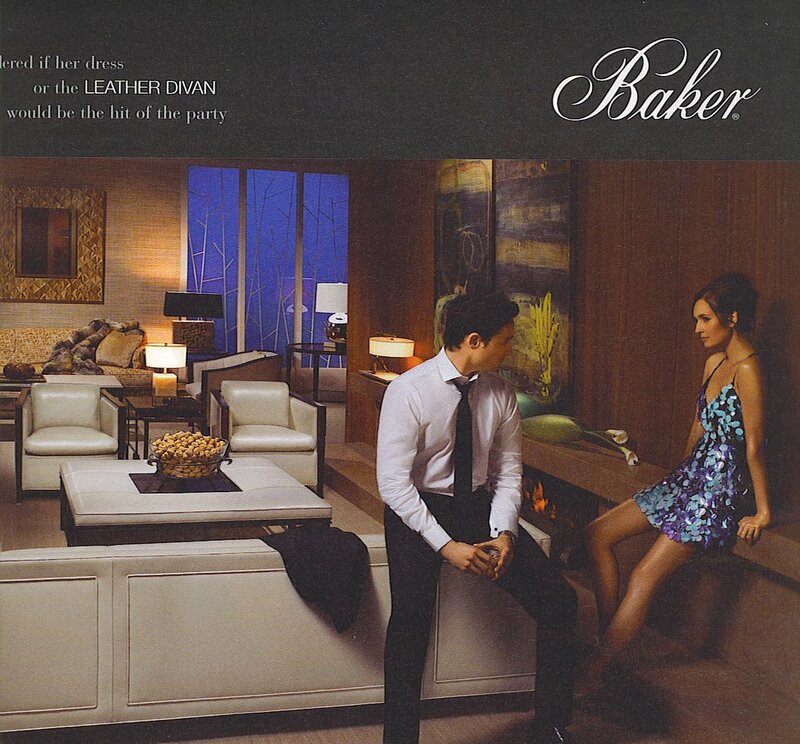 Of course, the Baker ad, like the New York Mag photos, are completely devoid of any of the kitsch, humor, or sexual tension that were in the W mag images.